Every special occasion needs a unique and attractive flyer to promote the event in an easy and inexpensive way. 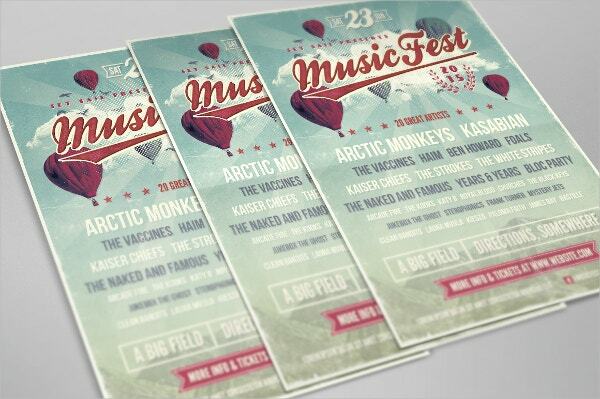 Designing an event poster is made effortless with the help of these easy to use templates. 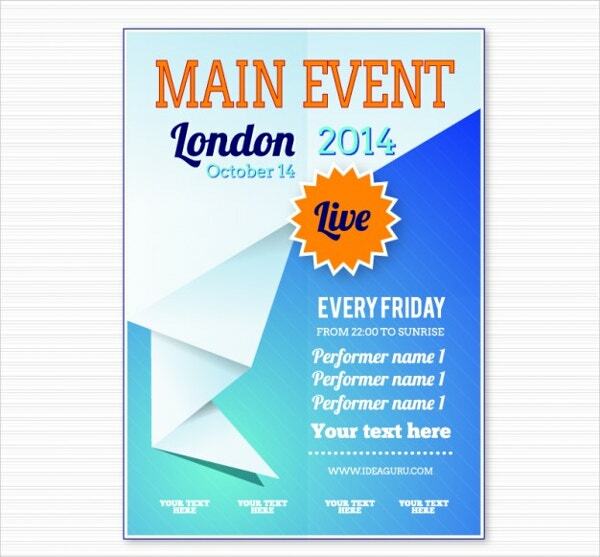 Create your own brilliant flyers and posters templates to suit your requirements for the event. These templates are available in a wide variety of sizes as well as ranges. Choose an attractive template from the numerous options provided below. 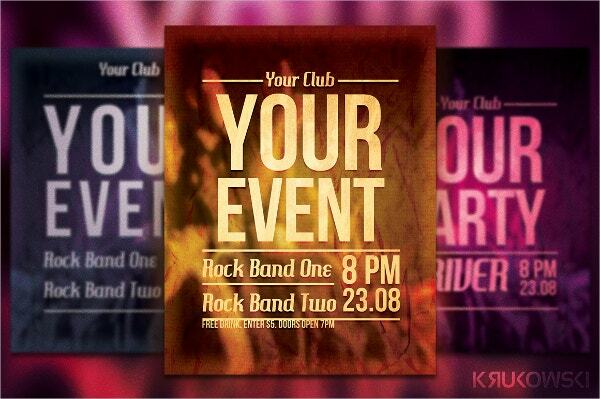 This is a layered event poster template available in 210×297-mm and A4 216×303-mm. It is provided in print-ready format and 300 dpi high resolution. 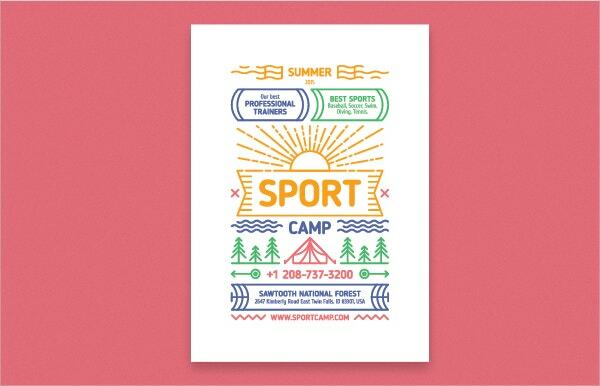 If you are planning to promote a sports camp, this template is the ideal one. 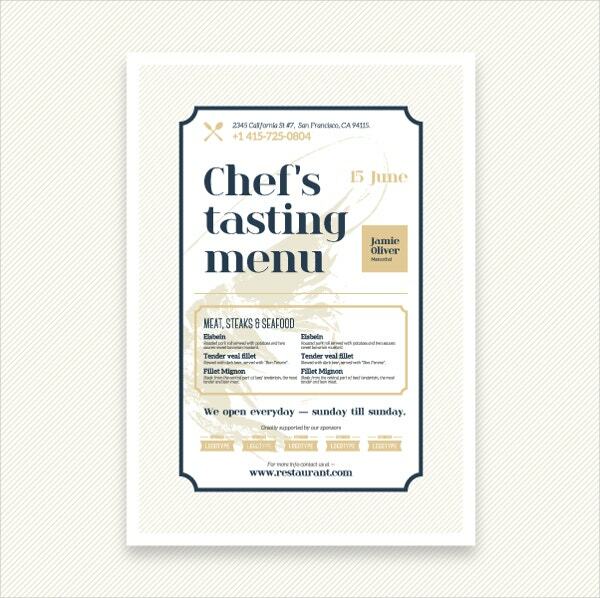 Simple to customize event poster template is available in EPS vector format and is print-ready. 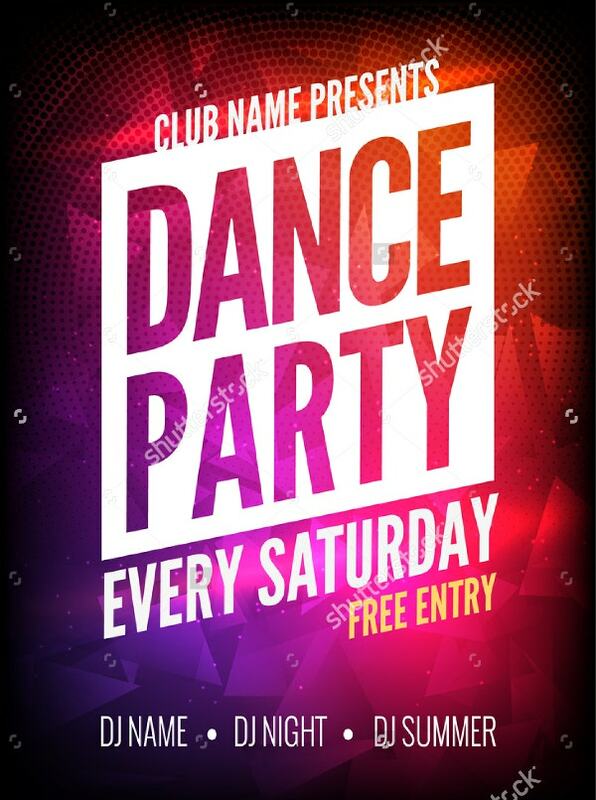 This party poster template is a high-resolution template, available in various sizes. It is easily customizable and is provided on a colorful background. 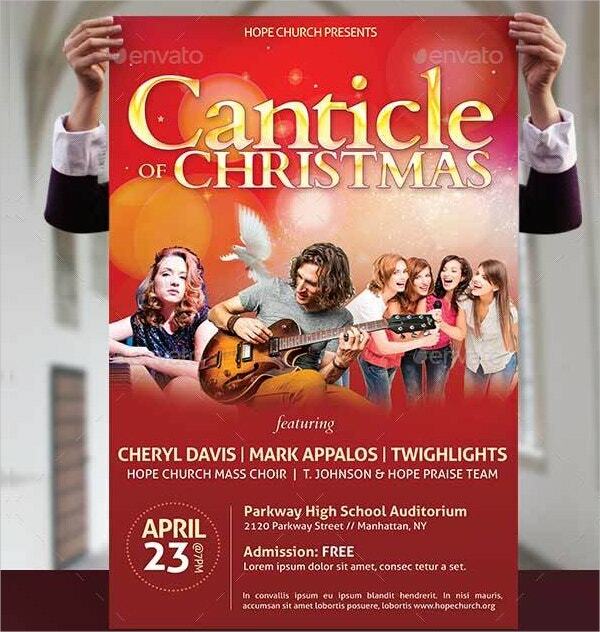 Promote your Christmas concert with this easily editable party event template. It is a layered template available in 5.5×8.5 dimension. You can also see Funny Wanted Poster Template. Use this event template to promote your music fest. Available in A3 size, this is a layered template of 300 dpi resolution and simple to customize. 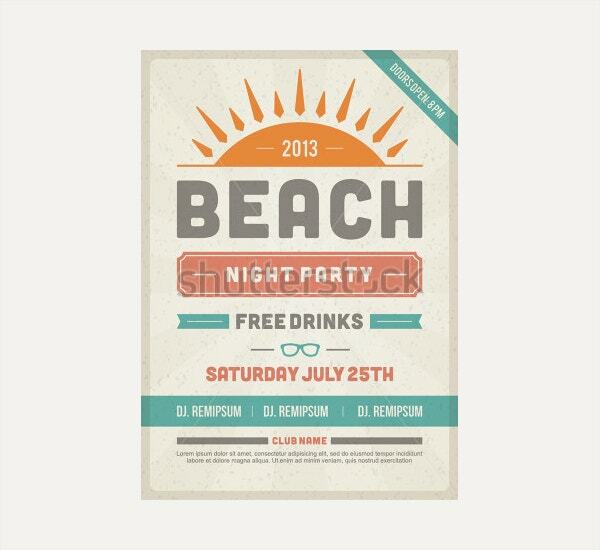 This letter size poster is ideal to publicize a beach party. 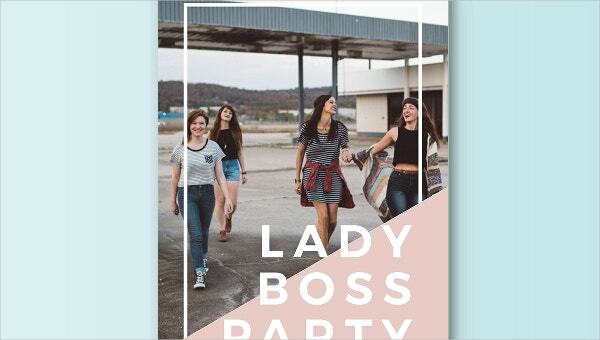 Modern and colorful design party event template is ready to print and is provided in 300 dpi. 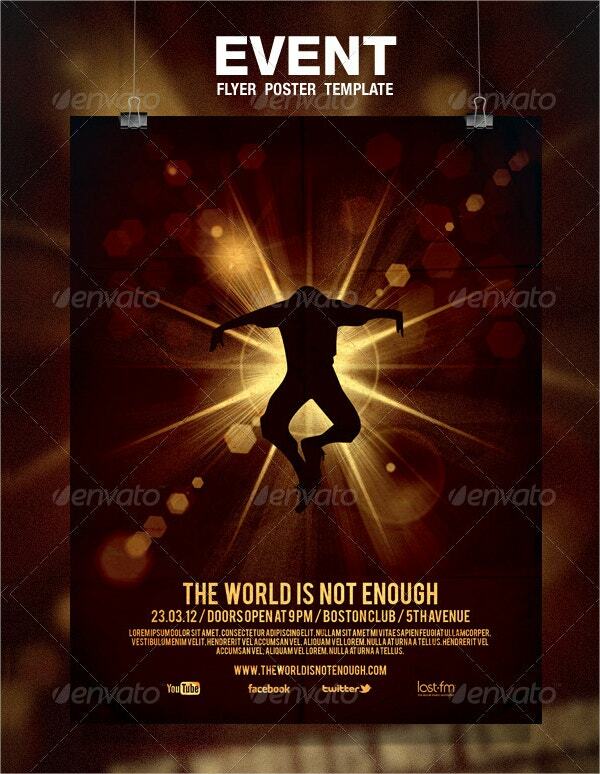 Luminous event template is provided in a PSD file and is ready to print. This template is available in strong font format in 8.5 width x 11 height dimensions. 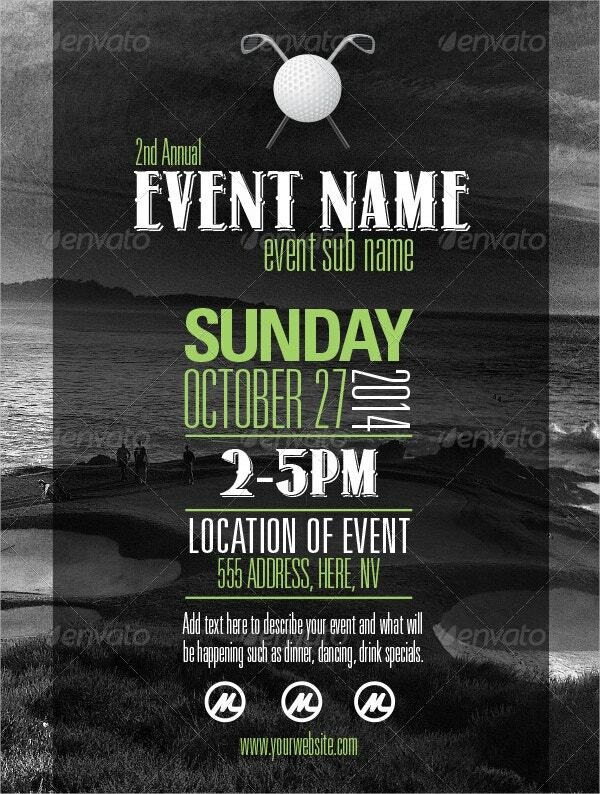 Simple yet trendy event template can be used to publicize an upcoming event. This is a high-resolution layered template available in vector format. You can also see Christmas Poster Template. 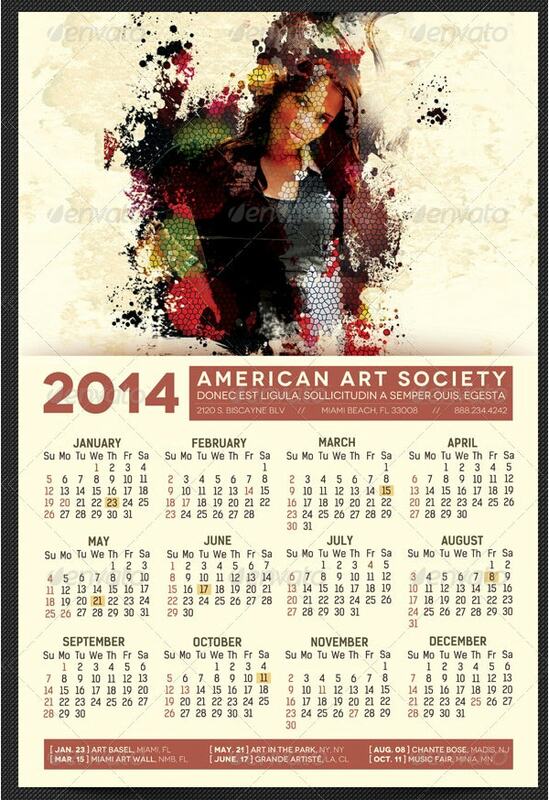 This attractive calendar poster template is available in four color options. Layered event poster template is provided in 12×18 dimension. 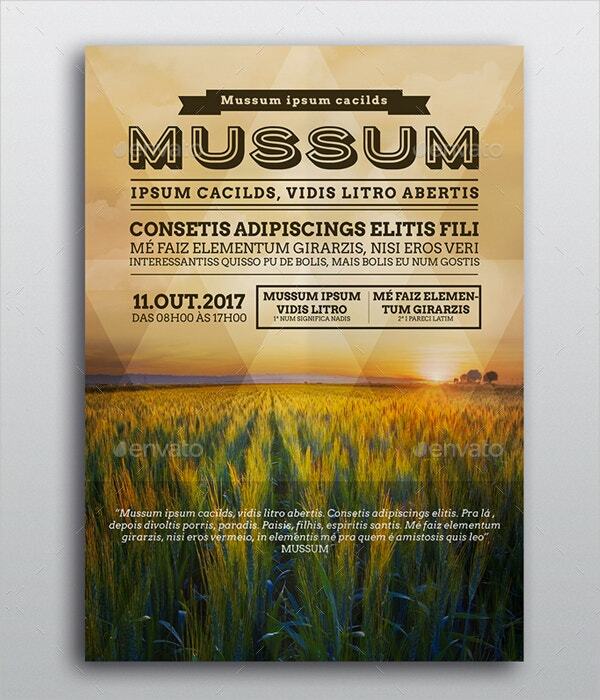 This event poster template is available for free download. The text of the poster can be modified as per your needs. 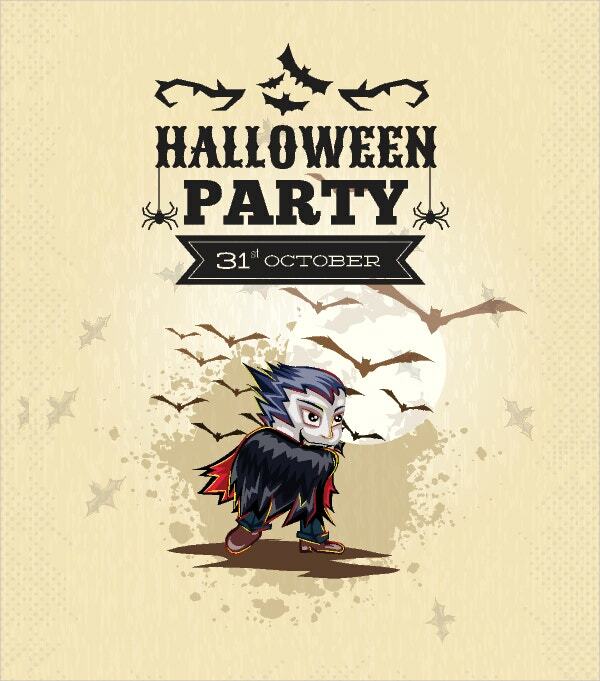 Party poster template is specially designed for Halloween party. It is available in vector file format with easily editable fonts. 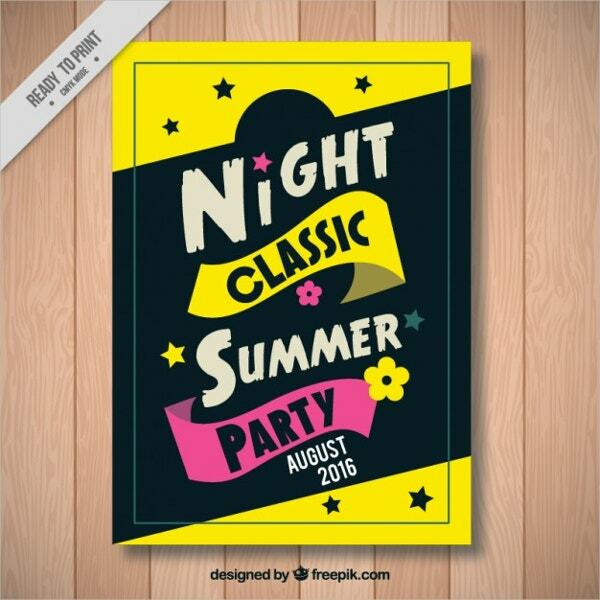 This simple party poster template is available in vector file format. It is a layered template with 8.3×11.7 print dimensions. Extremely unique event poster template can be used to promote your event. It is ready to print and is provided in 8.5×11.9 inches. You can also see Cool Poster Templates. This is a layered event poster template which is professionally designed. It is ready to print and is provided in 8.5×11-inch dimension along with bleed. 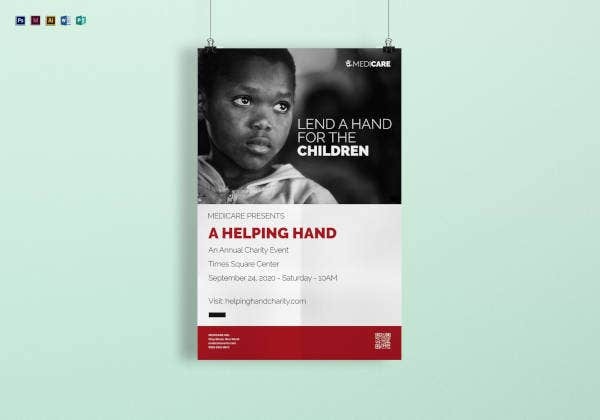 Spread awareness about an upcoming event by using event poster templates which are easily customizable. These templates are specially designed to fit the requirements of your project. 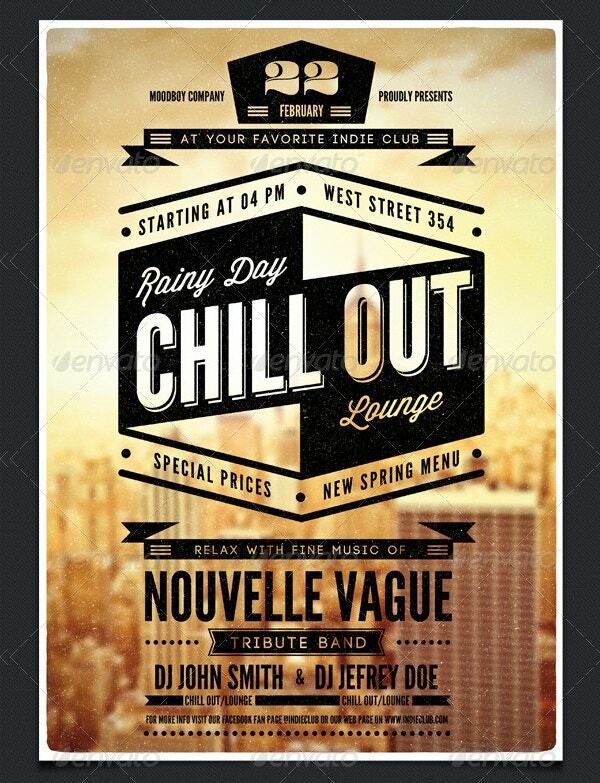 Colorful event poster templates are available in various sizes and vector file formats. Choose a unique template of required size and promote your event. 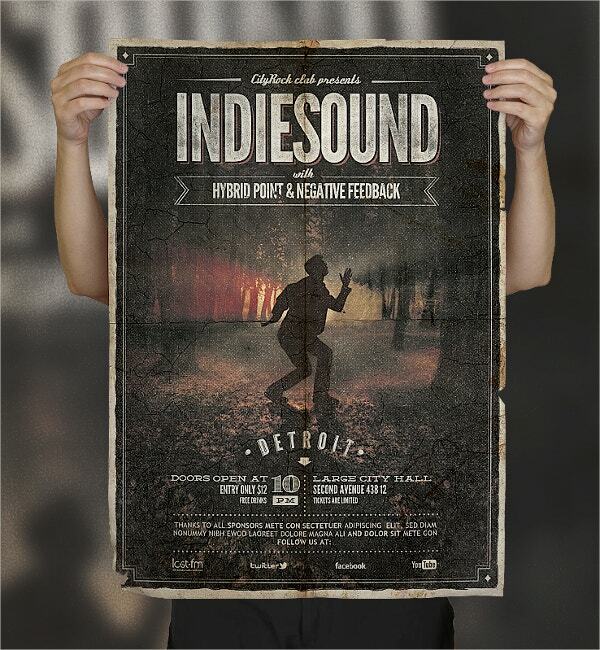 You can also see Music Poster Template.